Is it Safe to Live in Cuenca? I’m obviously a female, have lived in Cuenca for five years and go out alone to run errands, shop at the mercado, lunch with friends, go to events, or just take long walks on the river trails—frequently by myself. Guns are scarce here, so violent crimes are pretty much unheard of, but there is petty crime. Let’s see what’s in my bag. My safety strategy is to make sure I know where my stuff is. I carry a backpack, where I keep things that I don’t mind getting lifted—like umbrellas, maps, and hats. I have this simple easy clip that fastens around my waist or that I can lock to a chair at a restaurant. I keep things I really need to keep safe in a small purse that I usually wear around my neck, but can also pull out of my backpack. I carry my identification, my wallet with a debit card (many people just carry cash), and of course my cell phone—which is a prime target for thieves. The police do not go after petty thefts if what is stolen is under $500, so if you lose your smartphone, they aren’t going to look for it. When I ride the bus, I make sure that I wear the backpack backwards. Taxis are safe here, but make sure they have their meter running as to not be overcharged. I have one reason I don’t go out at night. I’m lazy. But when I do, I always make sure I take a taxi home. Avoid taking short-cuts through dark alley-ways, especially at dusk and night-time. If something was to happen, there is less of a chance you can be heard or seen. Walking the long way home is less risky than getting mugged on a desolate street. If you get money at an ATM, make sure you look to see if anyone is around you first. Carry copies of your cedula or passport around town—the real documents are hard to replace. Is it Safe to Travel in Cuenca? Most people in Cuenca don’t have cars because public transportation and buses to just about anywhere are so cheap. I sometimes travel with a couple of other girlfriends where $3 can get us to nearby towns. We keep our backpacks on our laps because unguarded overhead storage isn’t safe. When I go longer distances, I only take what I can keep with me, as storage in outdoor compartments are frequently opened during longer trips on a bus and you have no control over your luggage. I have never been accosted in any way on my bus travels by anyone, except for someone selling candy. If I do rent a car, I never drive at night, because it’s the Andes here and people going around the mountain roads drive fast. It also changes weather wise here very quickly, so you need to give yourself plenty of time to get to your destination. But you never hear about kidnapping, or pulling ropes over the road to rob you. Not in Cuenca. My preferred way to travel is to hire a private driver, which is inexpensive, safe, and the drivers always know interesting things to show you on the drive. Are Drugs use allowed in Cuenca? The drug culture here is very similar to when I used to live in Florida. Marijuana is legal up to small amounts, and the government is looking into legalization. But there are illegal drugs in Ecuador, just like anywhere in the western world. 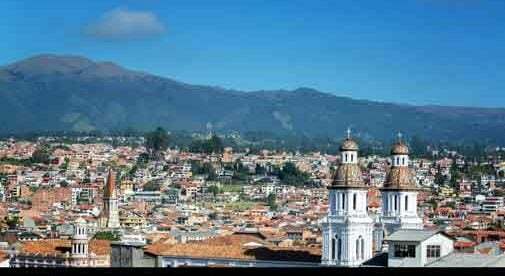 But saying this, the government is a bit stricter here regarding drugs, because the northern border hits Columbia and Ecuadorians are determined to keep tight control on drugs entering the country. So there’s not rampant use on the streets, but I would stay away from neighborhoods like La Merced, which is an area known for selling drugs. And if you are joining the party scene at night, take a friend, don’t venture outside the downtown tourist area into unknown neighborhoods or take short cuts on dark streets. Is Prostitution Legal in Cuenca? Yes, there is prostitution in Ecuador, but not the kind depicted in movies where they’re flaunting their wares on city streets. Prostitution is a legal activity, largely contained in areas outside of Cuenca in monitored hotels where the controls make it safer. What area’s would you avoid in Cuenca? I’d take care when shopping in the crowded mercados, avoid getting on jam-packed buses especially at night, and stay away from La Merced which has been noted for selling narcotics. Definitely, don’t wander too far off the tourist centers or take chances on walking down dark or deserted streets. I carry a whistle and a pepper spray, but that’s more for keeping dogs at bay when I walk the trails. Is Cuenca safe? In a word, sí. I haven’t had problems here in Cuenca. I have four dogs, including a shepherd—and pretty much no one (even gringos) want to come in my house. Not sure if that’s a tip or a warning. But I actually feel safer, less stressed, and more relaxed in Ecuador than I do when visiting the U.S.